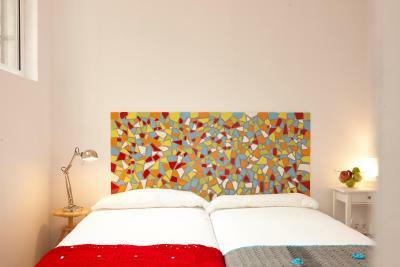 Good location, as it's close to the bus station and a neighborhood of bars and clubs. 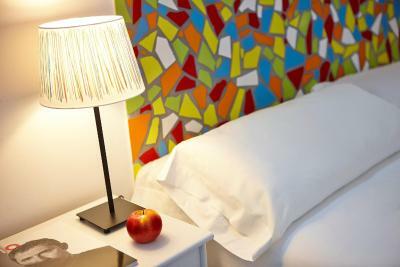 Very good hostel! Everything new, modern and clean. The breakfast has lots of nice quality food. Definitely over the average of hostels. Beds were comfortable, wifi was GREAT, and the lockers were big enough to store a 60-70L backpack - a rare find! Breakfast was basic (muffins, cereal and juice/coffee) but not so bad considering its free! Staff were friendly and helpful. The common bathrooms were plenty and clean. The room was neat and spacious. The staff is super nice and recommended the best places to see and visit. The location is excelent, close to pubs and transportation. They clean the rooms and bathrooms every day. 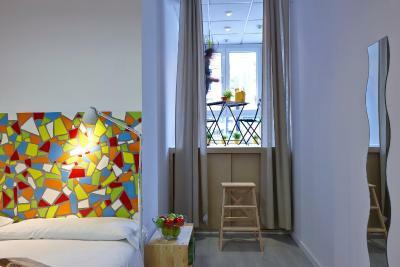 Clean and small hostel giving it a homey feel. Good breakfast. Good location. 1.The location is very close to the bus terminal, and the famous pintxos restaurant street Calle Pozas. Everything is in a good walking distance, supermarket around the corner. 2. Maria, one of the girls at reception who received me is amazing. Gave me great explanations about the city, where to go and what to do. The staff was very efficient and friendly, the location was right on the light rail and near the metro, shopping near by with restaurants all around. 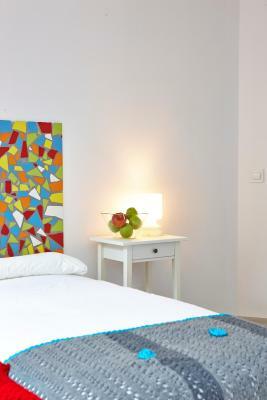 Really good location, close to San Mames stadium and the bus stop from the airport. Breakfast had a bit of variety, like bread, jam and a selection of cereal and milk. Garden at the back was lovely. Large enough locker, no key deposit. 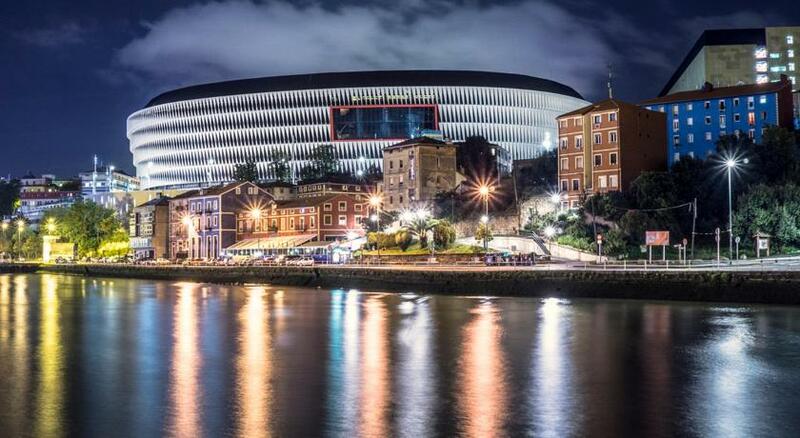 Pil Pil Hostel is just 1 minute’s walk from Athletic Bilbao’s iconic San Mamés Stadium. 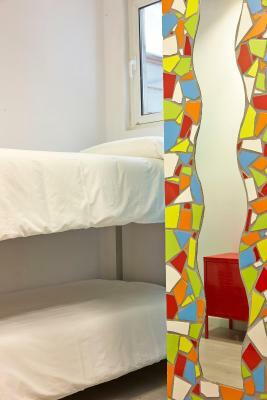 With no curfew or lock-out, it offers dormitories with individual lockers. 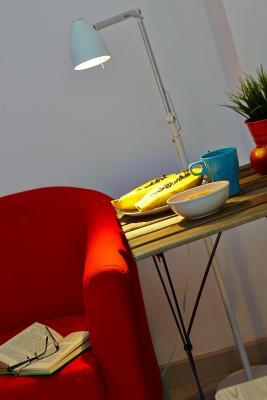 Guests at the Pil Pil have free access to the shared kitchen, and there is free tea and coffee all day. There is also a TV lounge with board games, as well as a shared patio. You can use the hostel’s printer if you need to print out a boarding pass but there is a surcharge. There is also luggage storage and bicycle parking on site. Free maps and city guides are available at reception. 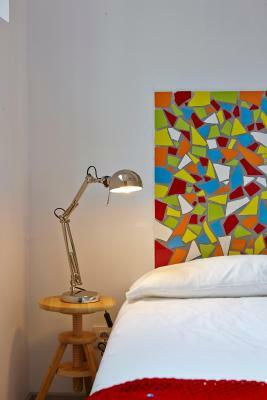 Pil Pil Hostel is a 15-minute walk from the Guggenheim Museum, and Eskalduna Convention Center is 8 minutes away. 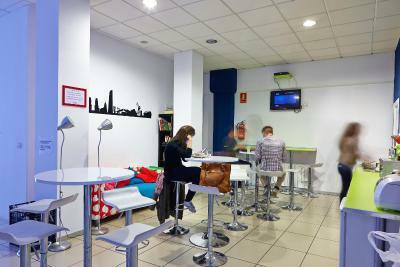 The hostel is next to San Mamés Metro Station and Sabino Arana Tram Stop. 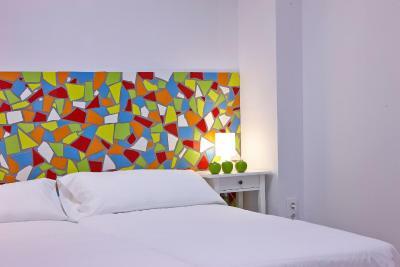 It is 4 minutes’ walk from the airport bus stop and San Mamés Train Station. 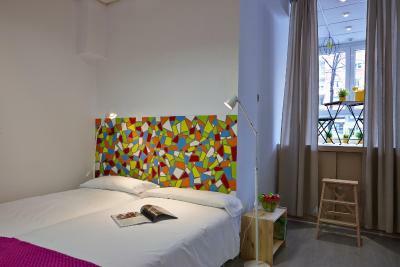 When would you like to stay at Pil Pil Hostel Bilbao? 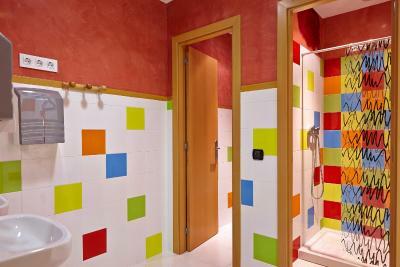 This dormitory room features individual lockers and a shared bathroom. The bunk beds are wider than average beds. 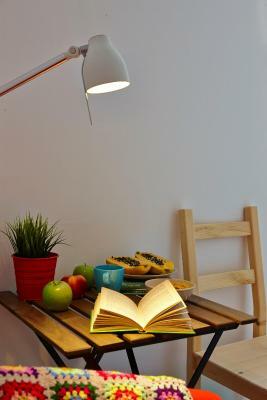 It is adapted for guests with reduced mobility. This bed in dormitory has a dining area, toaster and dishwasher. This quadruple room features a toaster, stovetop and dining area. 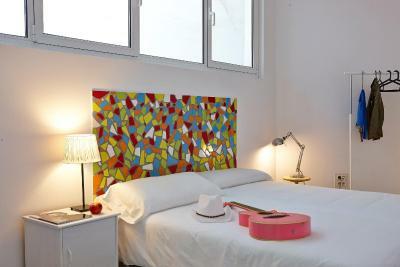 This triple room has a soundproofing, patio and electric kettle. We are a young couple how love travel around the world, and We have made our passion , our way of life. We really enjoy daily hosting people from all over the world and learing everyday from them. 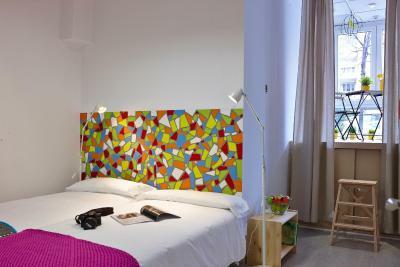 House Rules Pil Pil Hostel Bilbao takes special requests – add in the next step! Pil Pil Hostel Bilbao accepts these cards and reserves the right to temporarily hold an amount prior to arrival. If you expect to arrive outside reception opening hours, please inform Pil Pil Hostel in advance. Please note that towels are not included in the rate. They can be rented on site. One of the most picturesque neighborhoods in Bilbao! The dorms were really cold. During the night i barely slept 2/3 hours, then i had a shower in the morning and was cold as well. 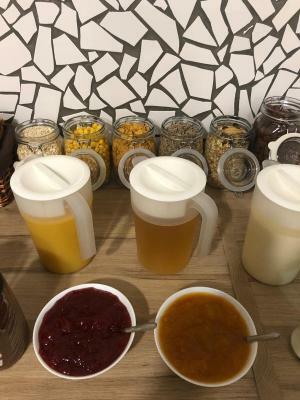 Breakfast, for 2,50€, was margarina, jam and cereals. 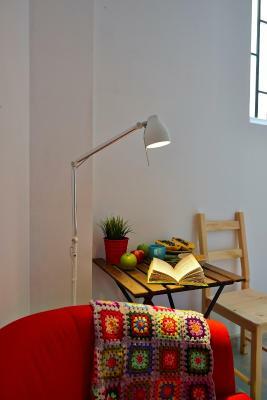 Great location in the heart of the city with amazing transport links (metro and tram Station right outside). Very friendly staff that are happy to help with anything. Great to allow to keep luggage at the hostel after check out. it is very inconvinient that they wont allow you to use every thing in the kitchen from 12 at night until 7:30 in the morning. I have to leave early in the morning and I could not use microwave and kettle to have breakfast and heat the food. If the hostel wants to keep quite for those who are having a rest, what they should do is to seperate the common area and the rooms. Don't make the customers feel uncomrtable and inconvinient. Also they dont allow you to stay in the common area once you checked out. These are all very annoying. I haven't see any hostel like this so far. No wonder their rating is not high. The check in time is 5 pm and I arrived early prepared to leave my luggage there and visited around but there was nobody here but a staff who does cleaning and can’t speak English I can’t communicated wiz her. I have no choice but to carried my luggage during the afternoon visiting. When I came back to check in the staff who is on duty is so kind and English friendly. Close to the coach station, and the stadium, River etc. Nice welcome at reception Clean and quiet bedroom Complimentary coffee. The showers are a bit weird. 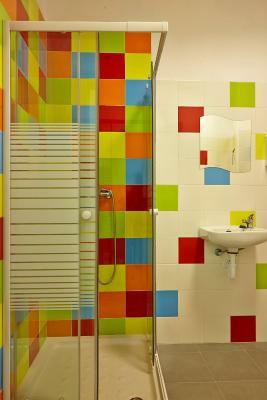 There’s no place to hang your clothes inside the shower room and the light keeps switching off. Nice and comfortable bed, enough storage space. Good breakfast selection, helpful staff. I’d definitely stay there again! The hostel should invest in key cards. I didn't like the fact that the front door and the doors to the dorms could be opened by anybody. 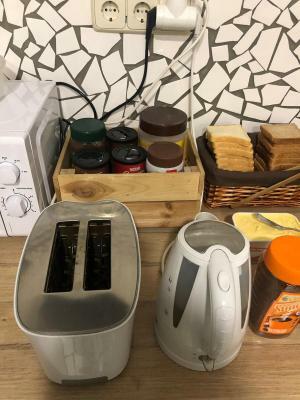 The staff was really nice and the breakfast was good, even though I think that the hostel should invest in a proper coffee machine. 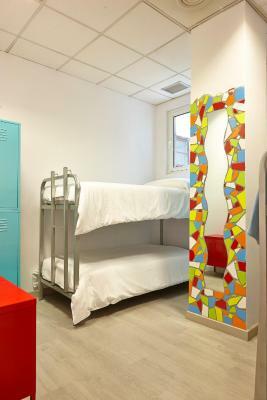 Great hostel for the price and ideally located for easy access to the bus station. 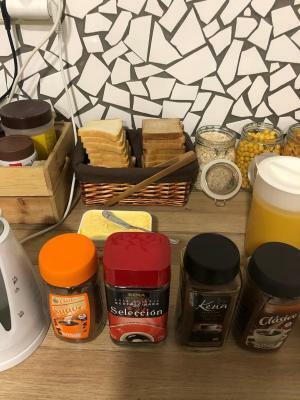 I always stay here when I arrive in Bilbao, as it is cheap, clean, provides a decent breakfast and there are lockers in the rooms. If you need a short stay before heading off elsewhere, this hostel is perfect! Nice hostel with very friendly and helpful staff. Didn't feel very welcome at check-in. Basin in bathroom was quite small. I have never seen such a small sized basin anywhere. Clean room. Good space. an extra small bed was there. Walking distance (around 12 mins) from bus station. Good for catching a bus to / from airport / other locations. Bathroom was clean. 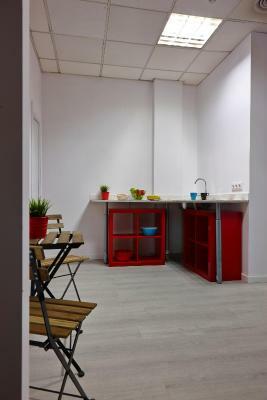 Kitchen was also OK with all basic requirements accommodated.